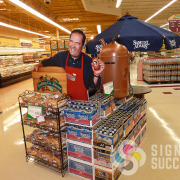 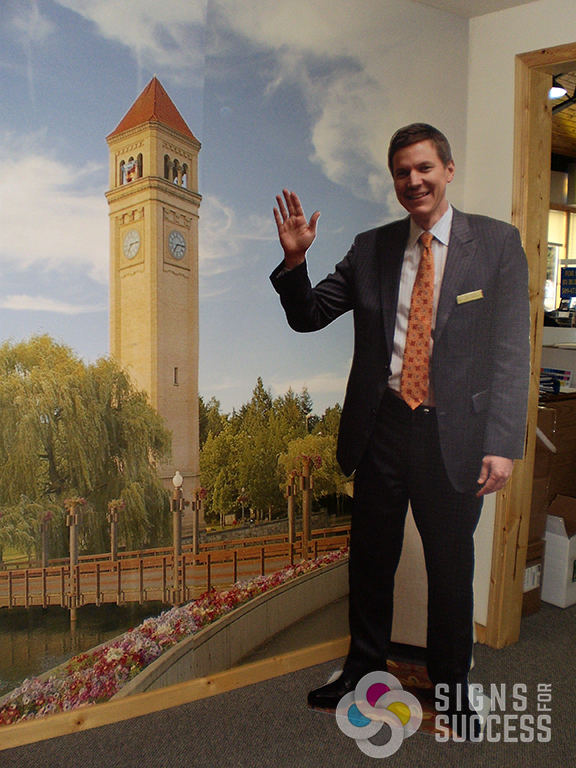 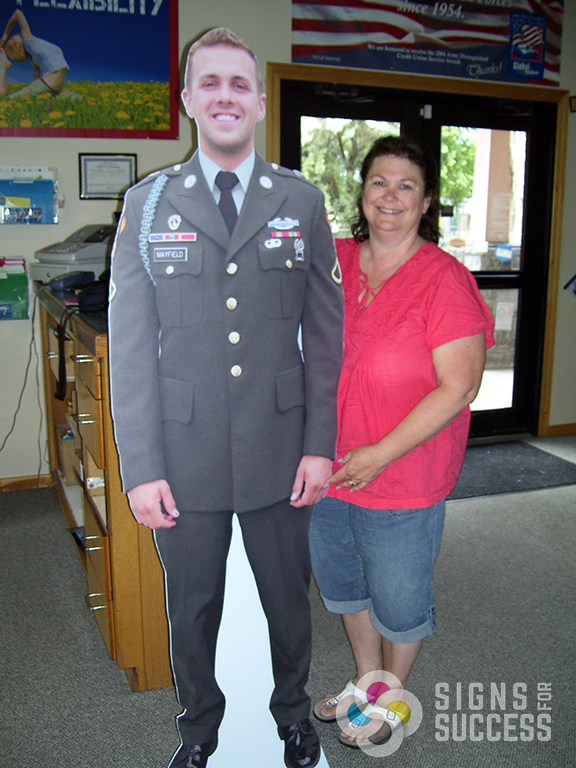 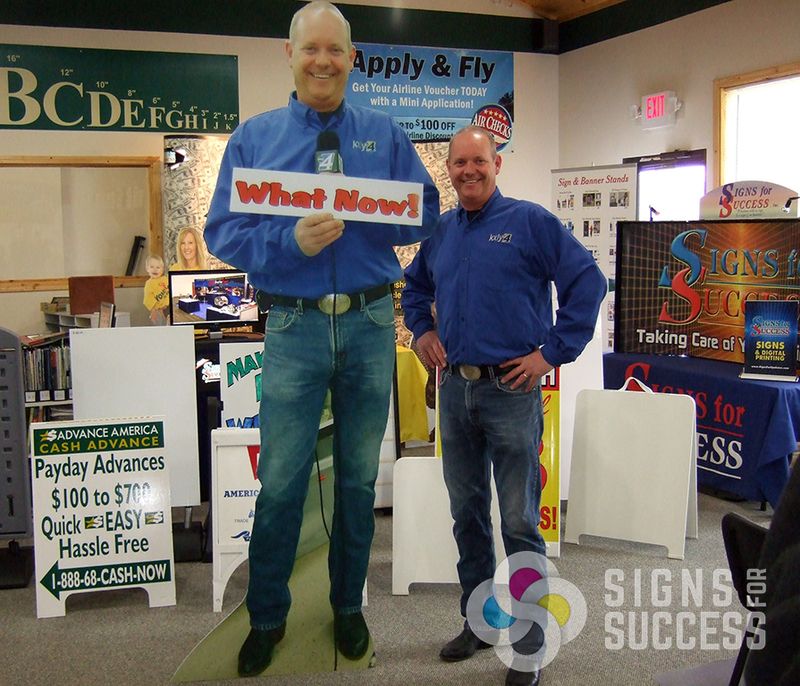 Turn any high resolution photo into a life-sized corrugated plastic cutout! 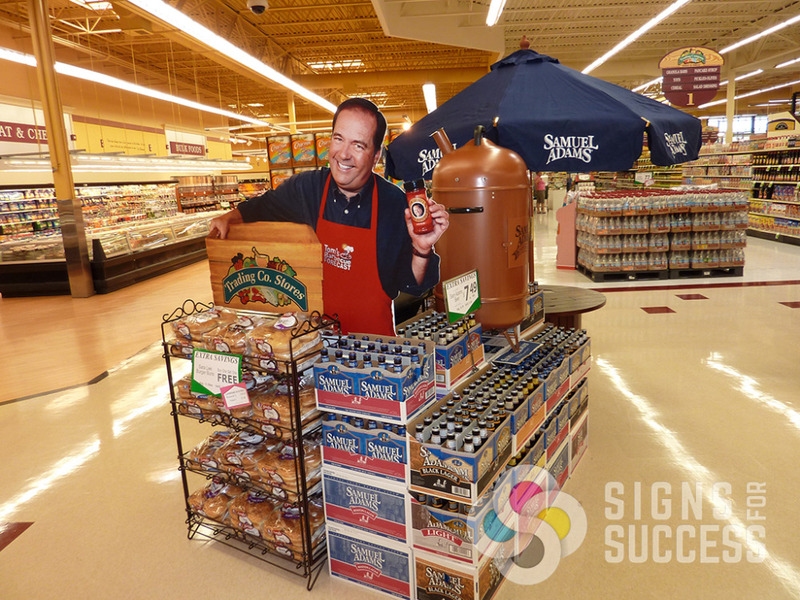 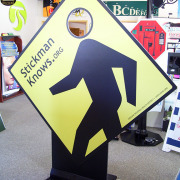 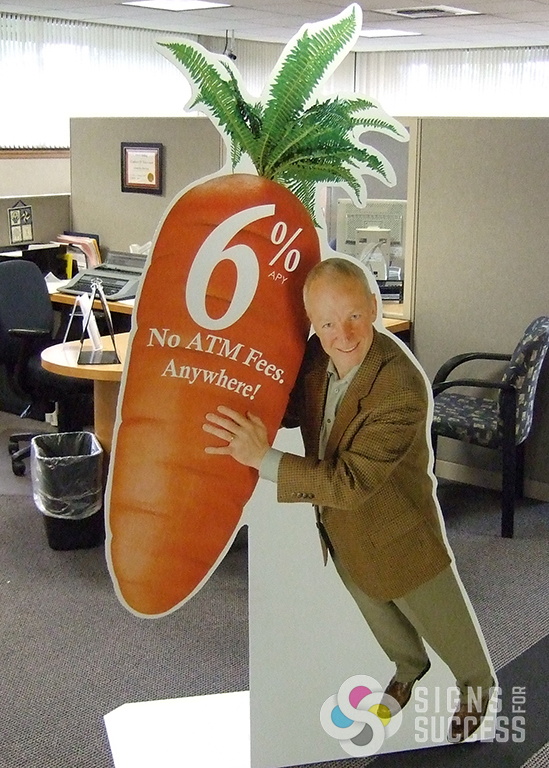 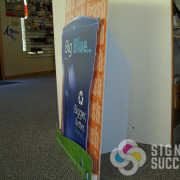 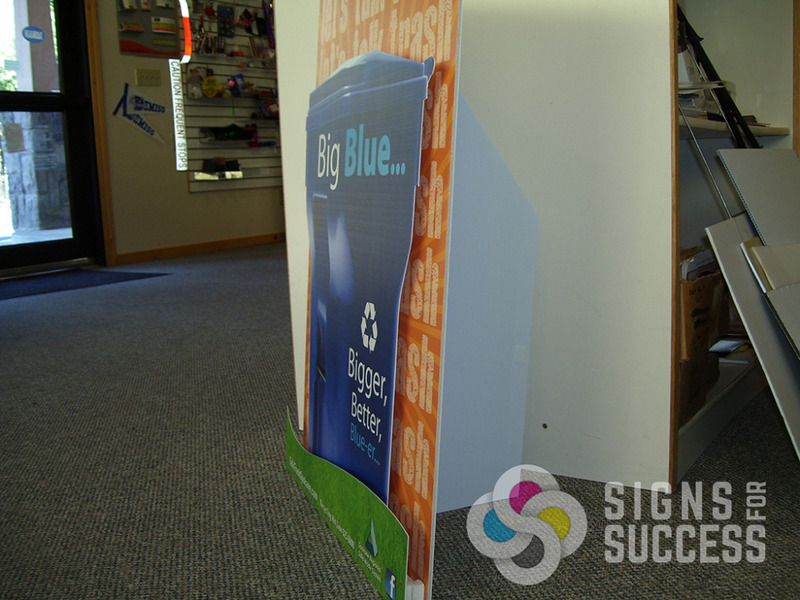 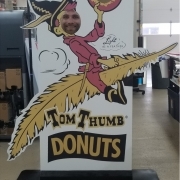 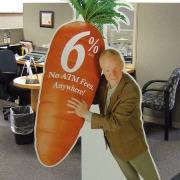 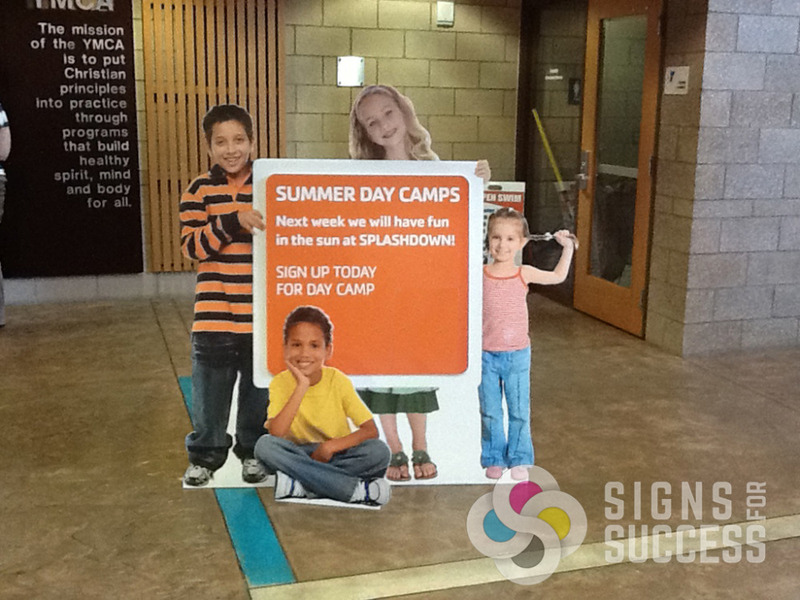 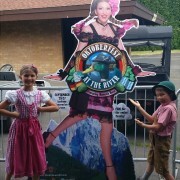 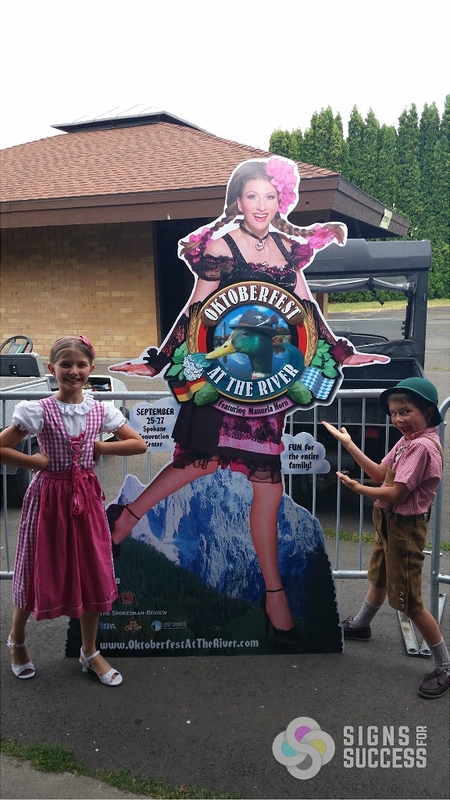 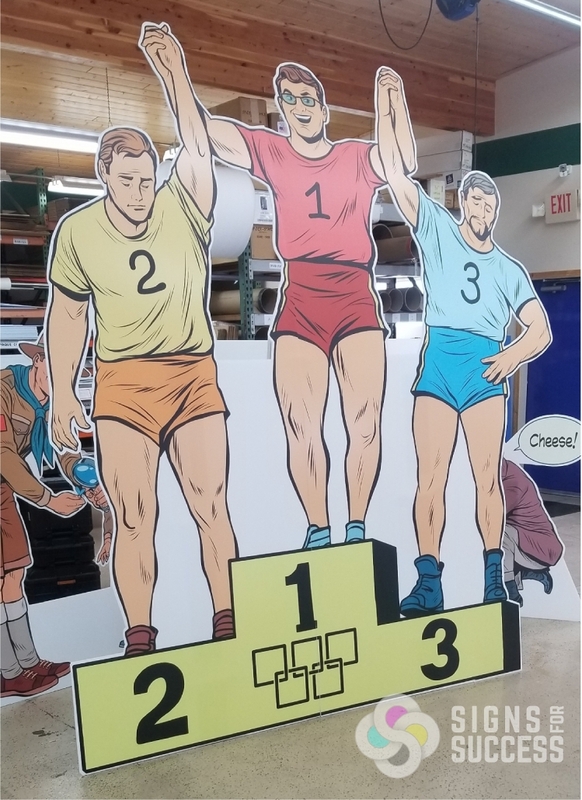 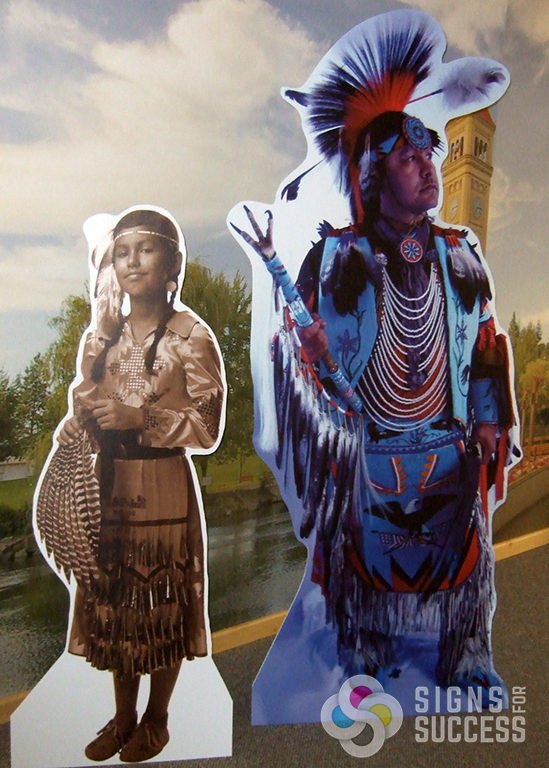 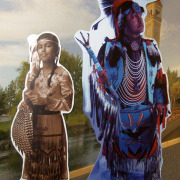 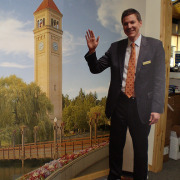 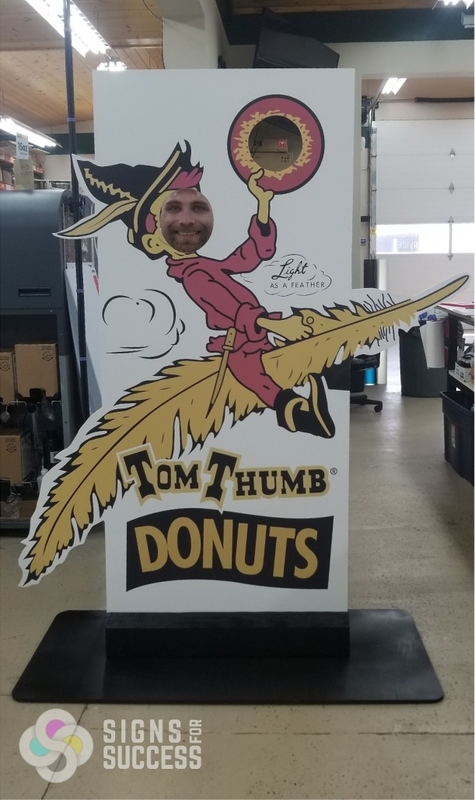 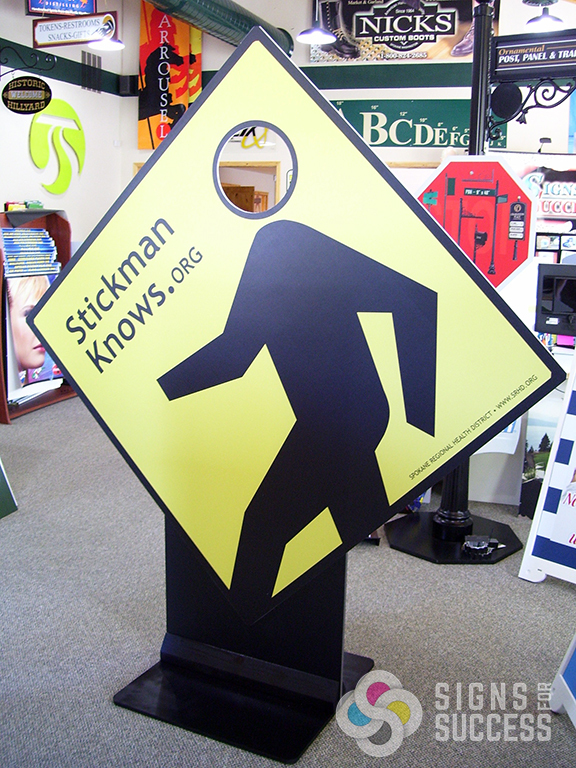 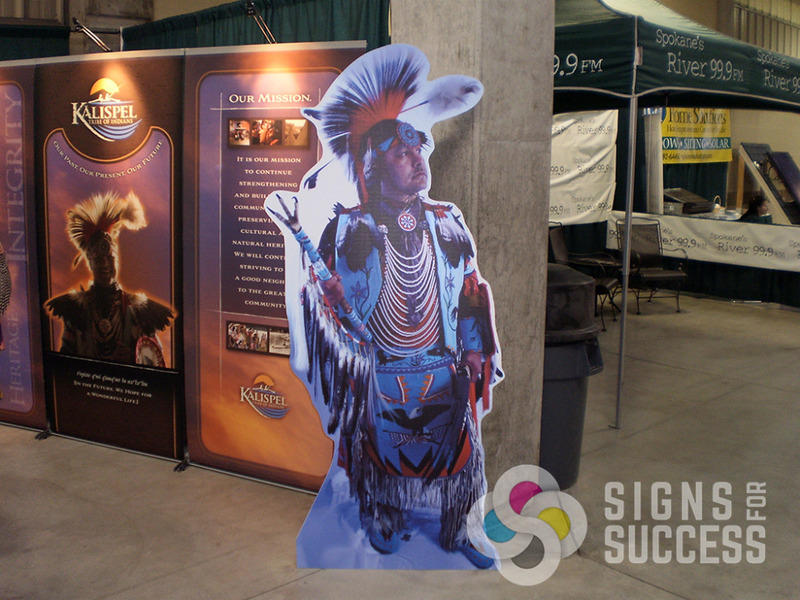 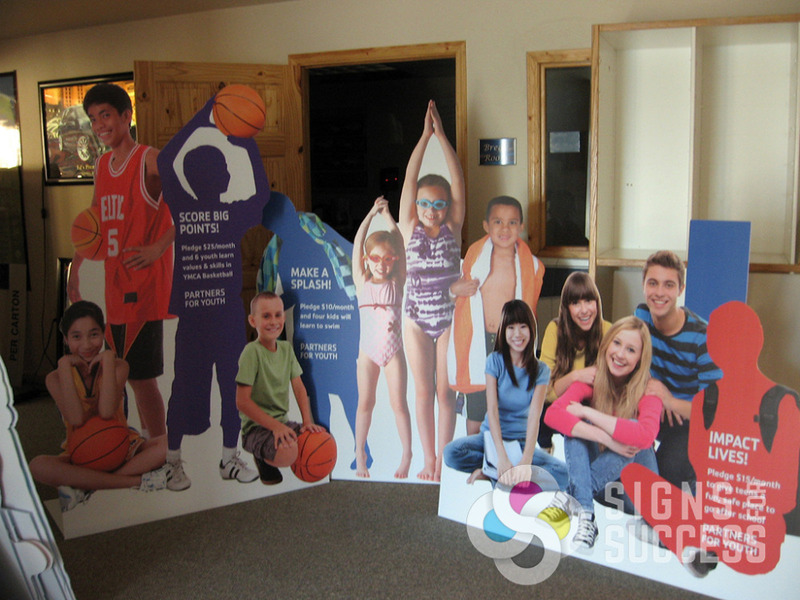 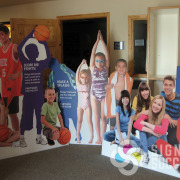 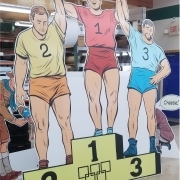 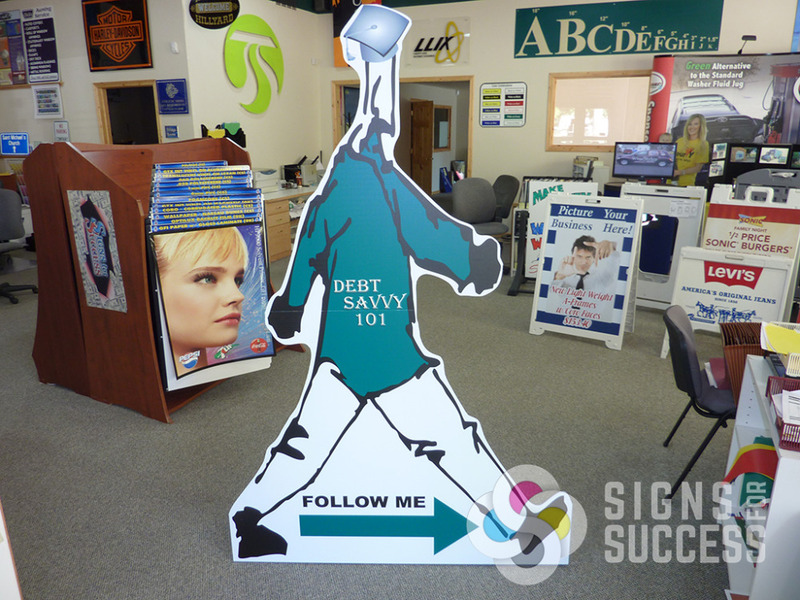 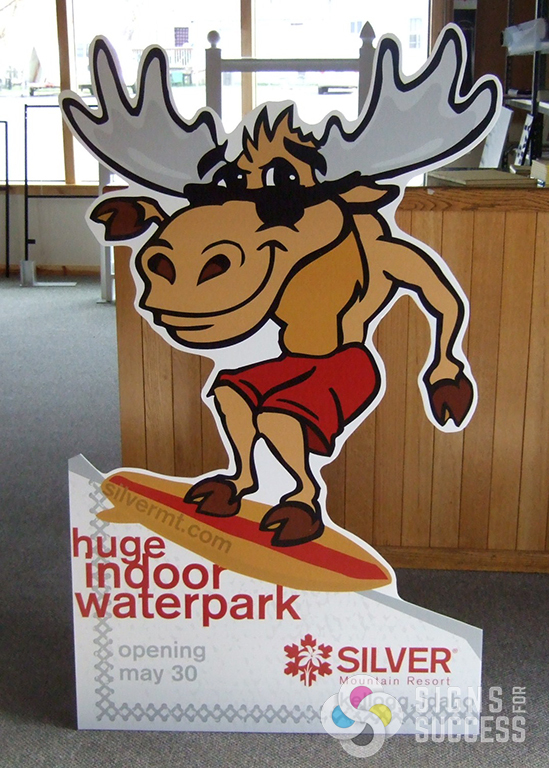 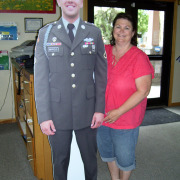 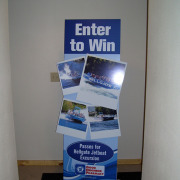 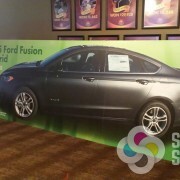 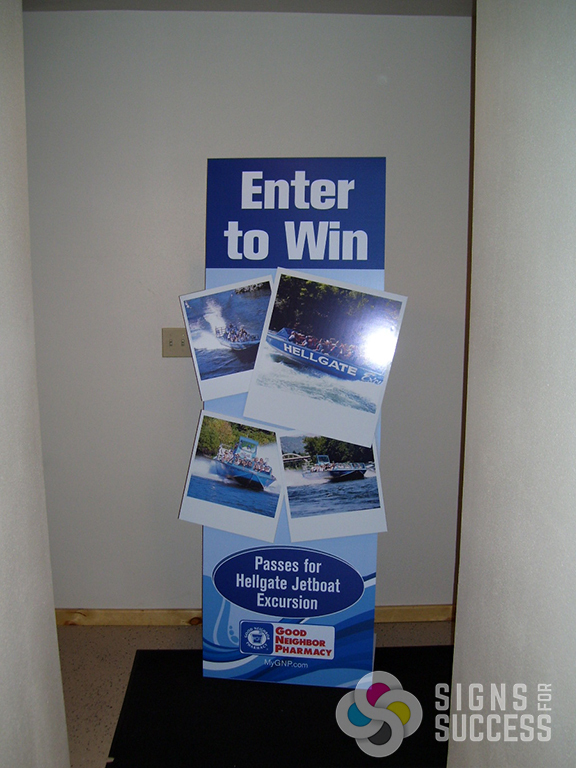 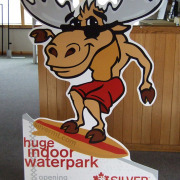 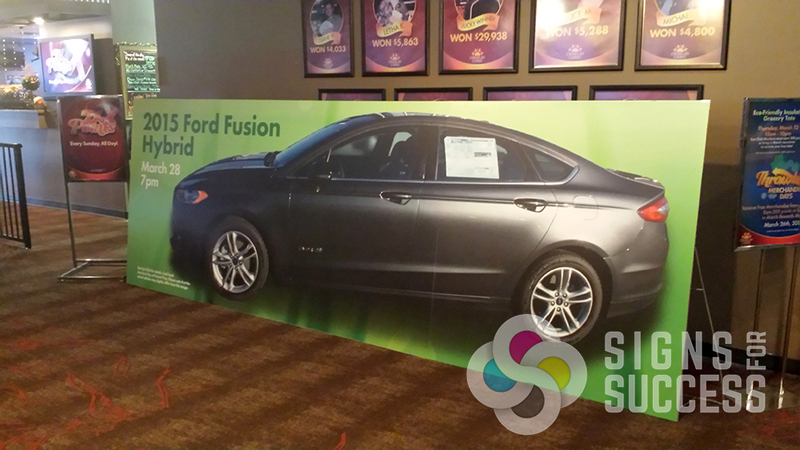 Full-size corrugated plastic standees are attention grabbers, and they’re great for tradeshows and other special events. 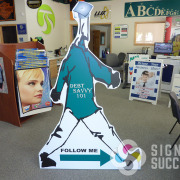 We’ve seen them used at parties and receptions, fundraisers, sporting events, tradeshows, vehicle shows, photo ops, and even for practical jokes! 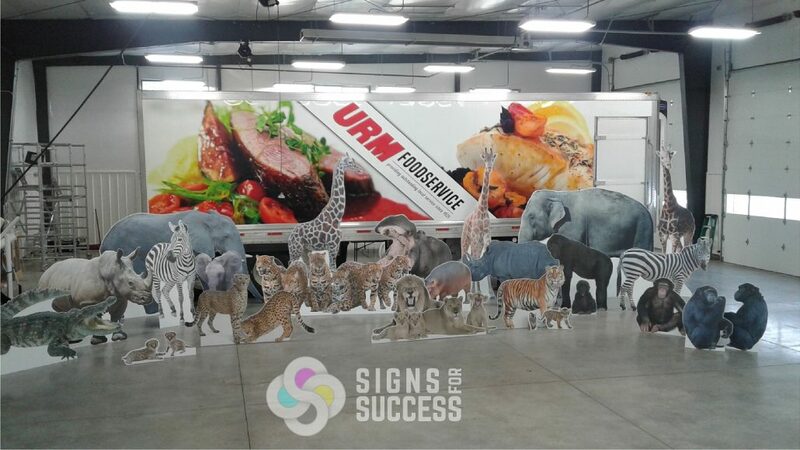 We can use almost any high resolution image or photo, whether it’s a vehicle, animal, person, goal thermometer, or just an arrow to point you in the right direction. 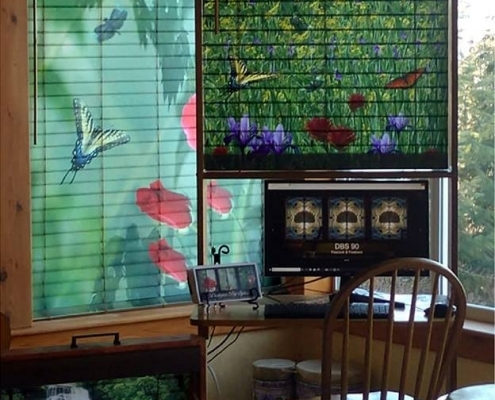 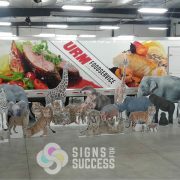 Then we’ll crop out the background, print it life-sized and cut the image to shape (we’ve done a semi truck at 8’ x 24’!). 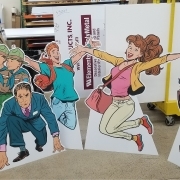 Finally, we’ll assemble a custom easel back that makes the standee free-standing but will also collapse for easy transport. 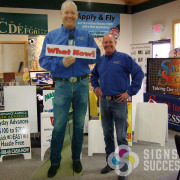 Call us for a free quote and to talk about your project. 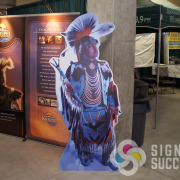 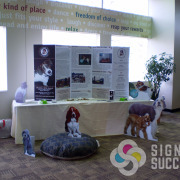 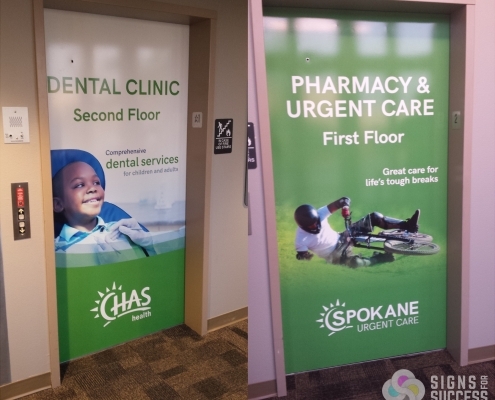 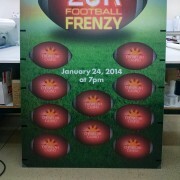 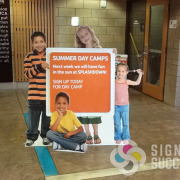 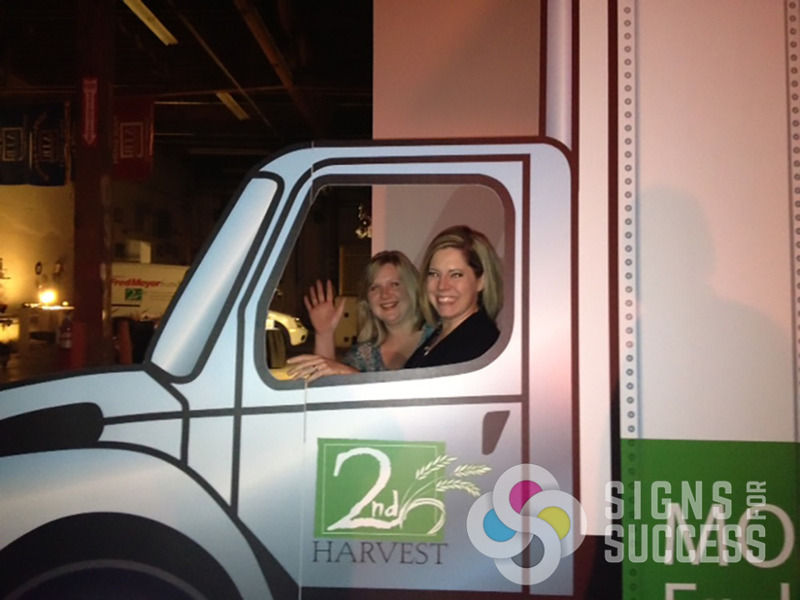 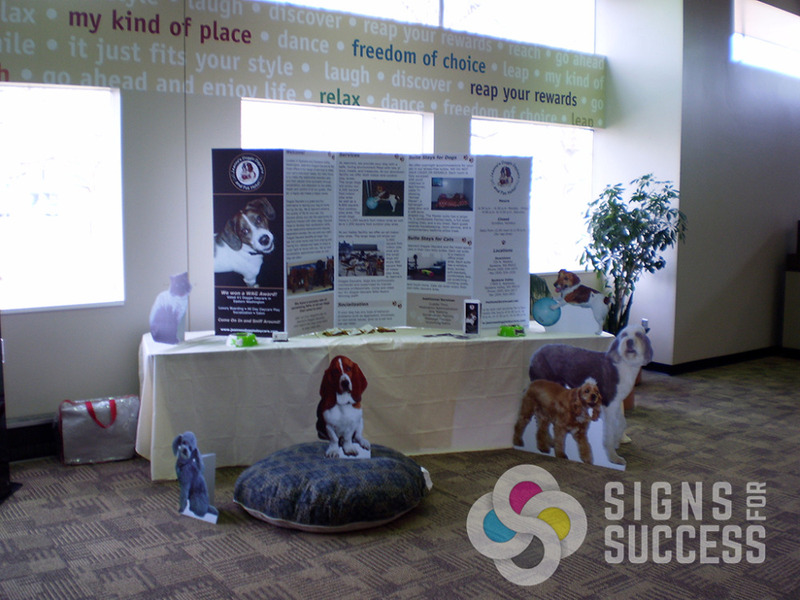 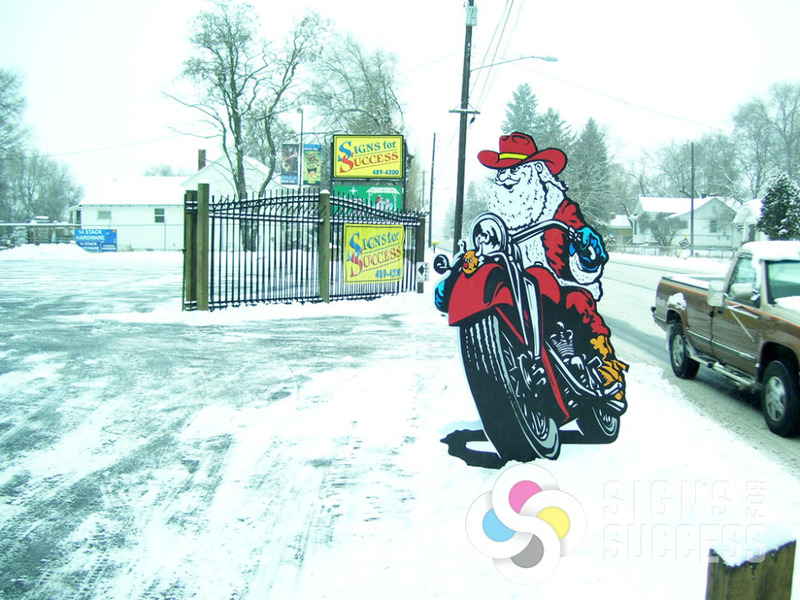 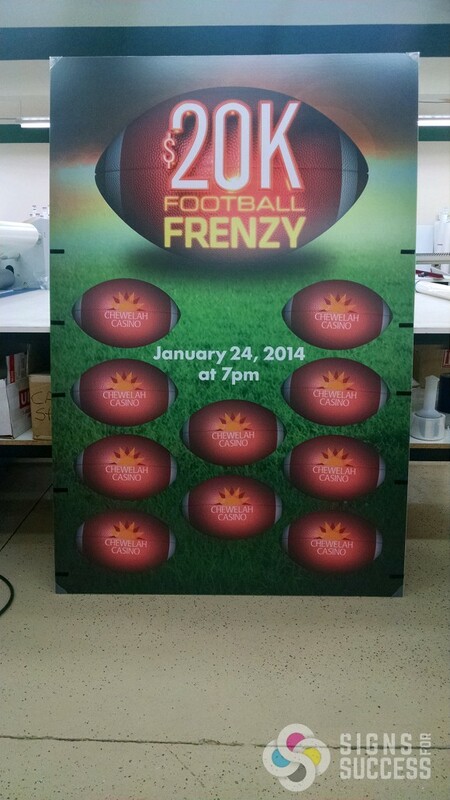 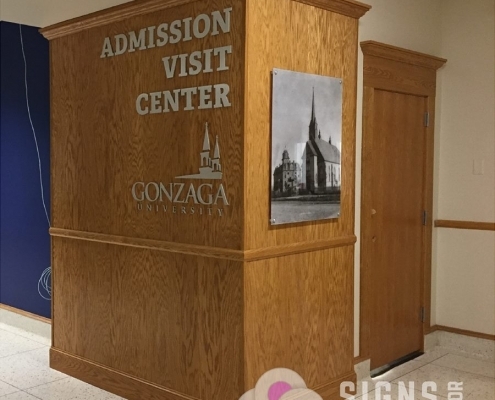 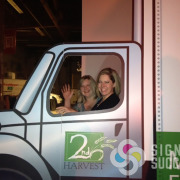 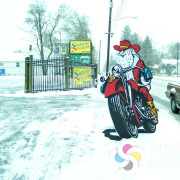 Signs for Success in Spokane makes every effort to deliver fast signs that are high quality for your event.